Dolphin Drilling Ltd, a subsidiary of Fred. 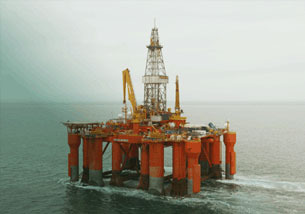 Olsen Energy ASA, has agreed an extension of its current contract with Chevron North Sea Ltd for the semi-submersible Blackford Dolphin. The extension covers ongoing operations with Chevron beyond early February on a programme in order to complete the current well in progress which is expected to conclude around late February 2017. The estimated contract value for the extension period is approximately USD 2.6 million.